151 Springburn Way, Springburn, Glasgow. G21 1DT. Tel: 01415585808. In 1886 this was a restaurant owned by David Hope. Two years later publican William Moffat took over as the new landlord. 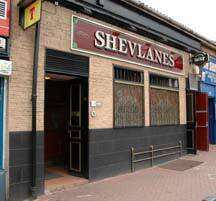 In 1897 William McFarlane took over the licence, for years this old pub sold nothing but beer and porter. 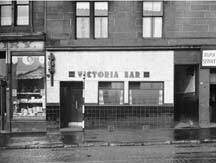 The McFarlane's named this popular Springburn howff the "Victoria Bar." 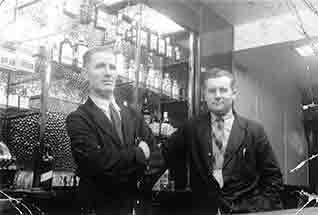 William's son John opened a Victoria Bar, Govan Road in 1920, his other two sons Walter and Alec went into partnership together and operated licensed premises in Springburn and Bishopbriggs. 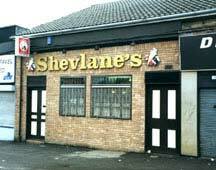 Christopher Shevlane Celtic Football and Morton fame became a Springburn licensee in 1972, taking over the Terminus Bar at the corner of Springburn Road and Elmvale Street which was demolished in 1978 to make way for the new roadway. Victoria Bar, Springburn Road 1930s. 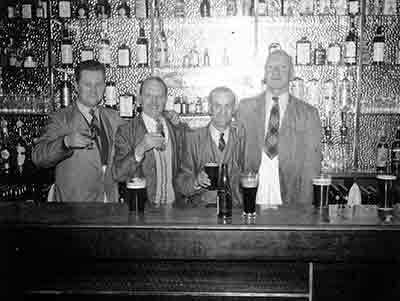 Also see Celtic manager and players that owned pubs. Click here. 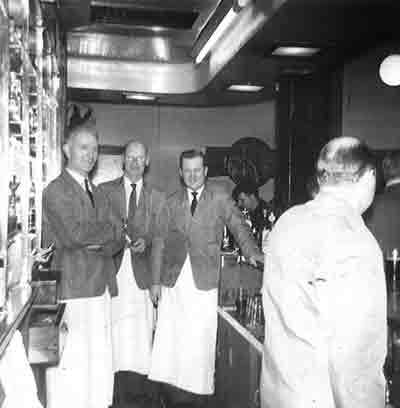 Left to right: Walter 'Wattie' Patrick, Barman, Barman and Bob Anderson. This image was taken in the mid 1950s. Thanks to Ronnie Patrick for these great images. Left to right: Bob Taylor (manager); Bob Anderson and Wattie Patrick. Mid 1950s. 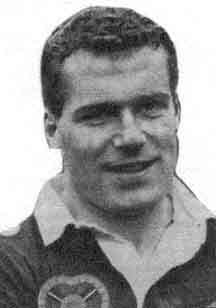 Left to right: Bob Taylor (manager); and Wattie Patrick. Mid 1950s.